Unfortunately due to a hectic work life and young family the majority of my time spent in the wilderness is generally confined to a day and if I'm lucky a two day hike. The exception to this was a recent trip to New Zealand to walk the Routeburn and Caples track: but that's a post for another day. Anyway, with most of my trekking consisting of short walks I was after a suitable pack. I like most people have a few synthetic 15-30 liter capacity day packs. I have always been a little frustrated with these packs, they do an adequate job, but they generally come in garish colours have straps and zips galore, and have a compromised load capacity; i.e. tear drop shape and narrow opening. I own a set of canvas motorcycle panniers manufactured in Australia, and they have proven to be incredibly durable and just look better with each adventure. These canvas panniers replaced a set of synthetic soft pannier bags that fell apart all too quickly. 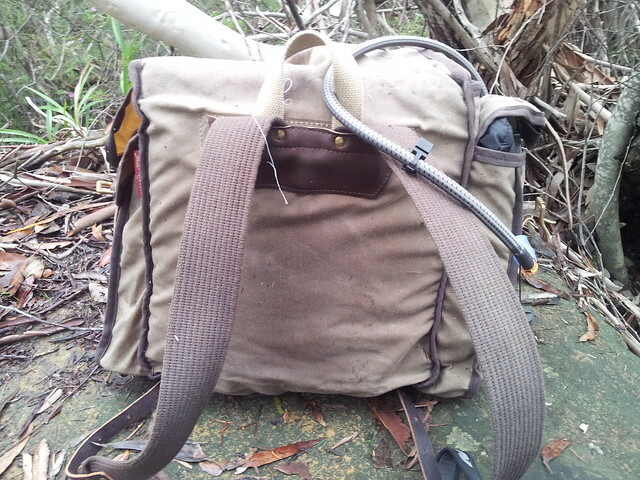 Anyway, one day whilst in the garage foraging for my kit for a bushwalk I gazed upon my canvas pannier bags sitting next to my synthetic day pack and I thought, wouldn't it be great if I could find a durable quality canvas backpack. I jumped on the internet and quickly came to the conclusion that there didn't appear to be any locally produced back packs that fitted my requirements however; there were a number of manufacturers of traditional canvas hiking and canoe portage bags in the US. 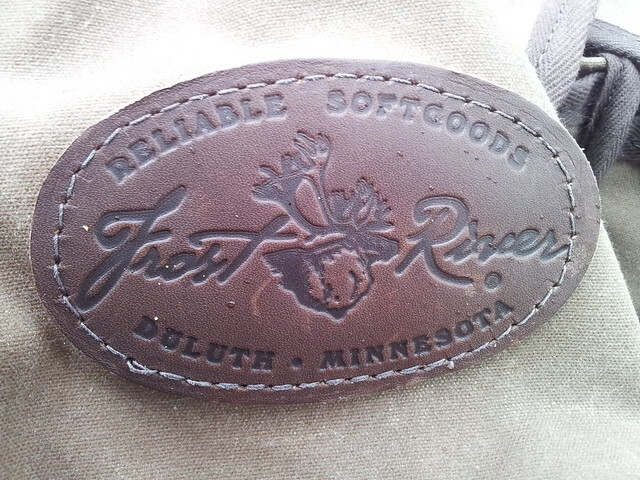 A little more research and I decided that Frost River not only made great looking gear, but it was also hand made in their workshop in Duluth, Minnesota. The US is probably similar to Australia, everyday local jobs are being lost to sweat shops in far flung countries where often the quality of the item also goes out the door in the process. So whilst it wasn't an Australian product, I was more than happy to support a small operation that employed local US workers making quality back country gear in a rural community: and as I would discover still provided good old fashioned customer service. 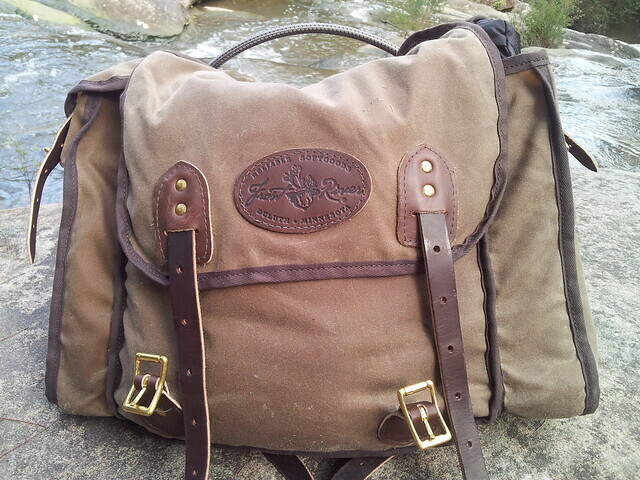 The end result, well I am now the proud owner of a Frost River Cliff Jacobson pack. 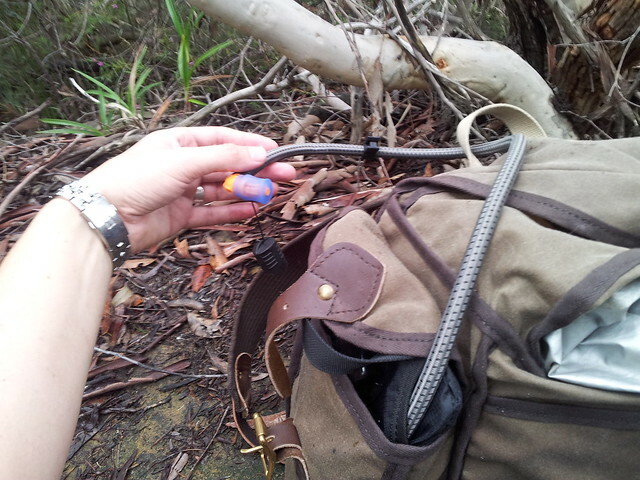 I have owned the pack for around 5 months and it has been a constant companion on numerous days in the bush. As with my canvas motorcycle panniers it just gets better with use, developing a patina of sweat and dust and good memories. The pack is beautifully crafted, with quality leather straps and solid brass buckles. 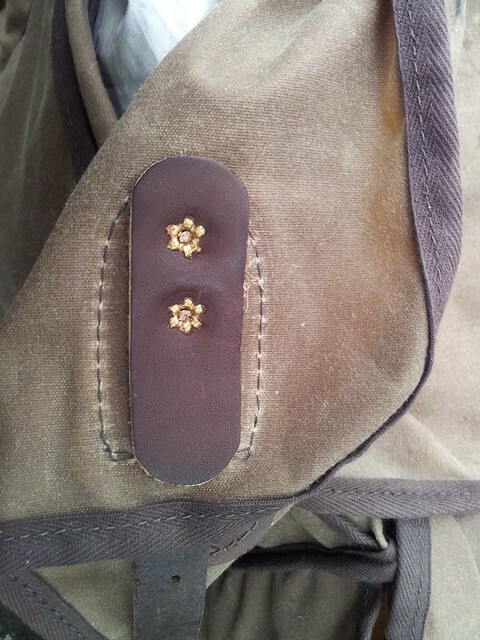 The rivets on the pack are sturdy and the canvas is a 10 weight waxed cotton canvas. There are two large pockets on either side of the main box compartment which can fit large water bottles or a hydration pack. The main compartment holds all the bushcraft gear you need for a day in the woods and if you are a light backpacker you could stow enough gear for a two day hike. 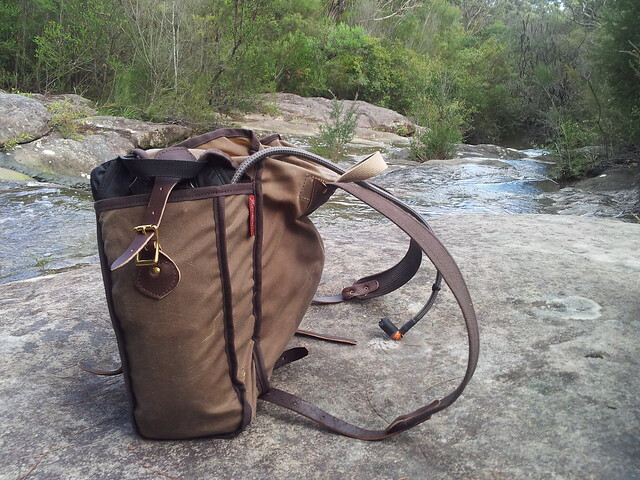 I have loaded this bag with 7 kg of gear and walked over 20 km in one day and the bag was supremely comfortable. The comfort of the bag is reliant upon the way you pack your gear, sharp items up against your back will obviously annoy you as the trek progresses. If you cannot be bothered taking the time to pack the bag carefully you can slip in an old section of a sleeping mat to provide structure to the bag (it has no frame) and comfort. The straps which are made of a thick cotton webbing were comfortable from day one. There is also a nice map pouch on the inside of the main compartment which comes in handy for stowing small loose kit items. The pack is also great in rain, keeping the water out thanks to internal canvas flaps that covers the gear in the main compartment prior to the large flap being fastened. I have walked through some pretty big downpours without anything getting wet thus far. In conclusion, I highly recommend this pack to anyone who is after a sturdy day pack. I have little doubt that long after I'm departed this earth my children will be getting great use out of their Dad's old pack. In fact I am so impressed with this pack I intend to buy Frost Rivers big Isle Royal Bushcraft pack which I suspect will be the perfect companion for my multi-day treks. 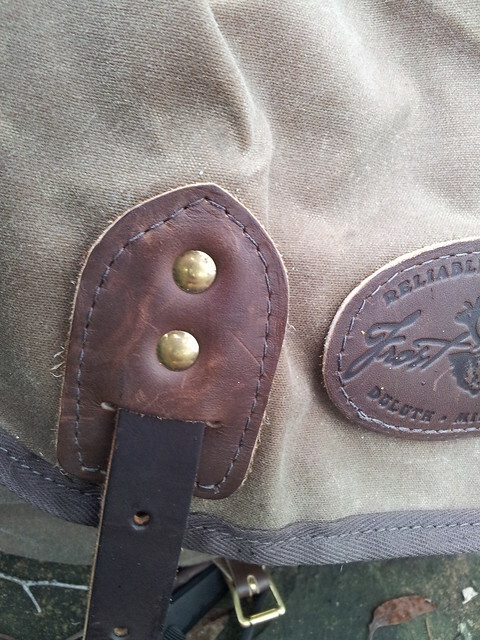 A review of the Isle Royal Bushcraft pack will be posted once I save up some cash to buy one.